Updated 03.06.2019: Are you considering traveling to Europe? Spring and fall are wonderful seasons to experience, Italy, Spain or your favorite European country. Although the weather is not as consistently good, you’ll avoid the summer throngs of tourists. And that’s a good thing. 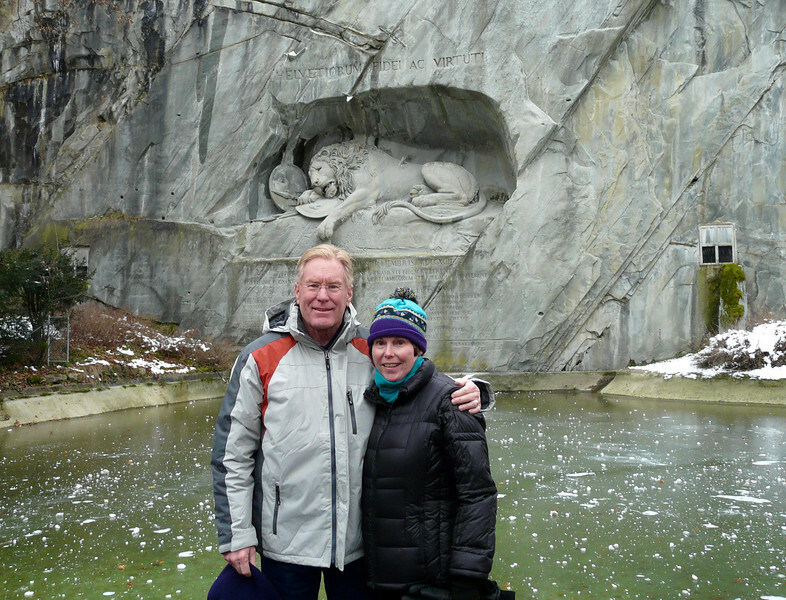 Are your boomer travel feet itching to go traveling in Europe? Alan and I are big believers in planning ahead. 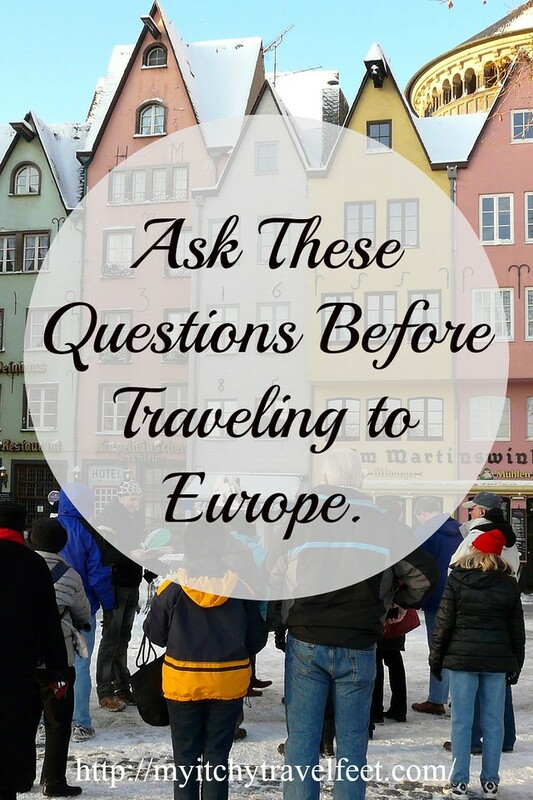 So ask yourself these questions before traveling to Europe (or any international trip). 1. Are my travel documents up to date? If your passport expires within the next six months, many countries will not admit you. So check the expiration date! And you’ll also need enough empty pages to accommodate new stamps for all of the countries that you’ll be visiting. The good news is that U.S. passports can now be renewed via mail. The bad news is that is till takes time so don’t wait until the last minute. Find out all the details at the U.S. State Department. Will you need a Visa? Check this U.S. State Department page to find out. If you’re traveling to a disaster-prone country or areas of conflict, don’t forget to register your trip with the U.S. Department of State. 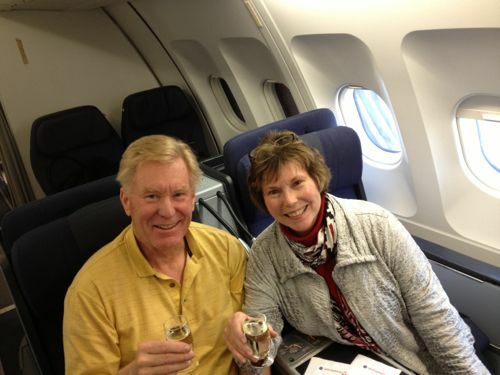 Emergency contact number back in the U.S.
Toasting to the good business class fare we found on Air Berlin. 2. How do I find the best airfare for Traveling to Europe? My search for international airfare always begins at Skyscanner. Click here to give it a try. Here’s my strategy: after getting a general idea of the cost, I click over to the airline’s site to see if the fare is still available or even cheaper. Save money by booking two tickets—a round-trip international ticket from a major gateway city plus a domestic round-trip ticket for traveling to and from the major gateway city. That’s what we do. 3. Are their health requirements for the countries I’m visiting? Will you need immunizations like typhoid pills a yellow fever shot? Once again, the State Department is a good source for learning about requirements. The Center for Disease Control and Prevention also offers preventative medical advice. Did you know that Medicare doesn’t cover international travel? That’s why it’s essential to purchase travel health insurance. And don’t believe the stories you hear about cheap medical care in other countries because that’s not always the case. I know about medical emergencies. In Lucerne, I smiled through the pain before going to the hospital with a back injury. We use Insure My Trip to compare policies. And don’t forget to look at joining a medical evacuation program, which will transport you home in case of hospitalization. Travel insurance usually takes ill travelers to the closest medical facility and that’s it. Depending on the medical emergency, returning home could cost thousands of dollars. When purchasing travel insurance, make sure that the policy includes pre-existing conditions for you and extended family members, even if they aren’t traveling with you. These days, most of us have elderly parents who might fall gravely ill while we are off seeing the world. The right travel insurance policy will bring you home in an emergency. 4. Should I inform my credit card company that I’m traveling? Before leaving home, alert credit card companies about international travel plans, advising them exactly which countries you’re visiting. Most companies make it easy for you to do this online. And be informed of the international transaction fees that credit card companies charge. If necessary, apply for a credit card that doesn’t charge international transaction fees. Here’s a 2018 list NerdWallet. 5. Will I need to exchange money? Credit cards will get you through most of the trip. But it’s always helpful to carry a small amount of local currencyfor minor purchases (save credit card usage for reputable stores or restaurants). An ATM is the best way to change money to the local currency. 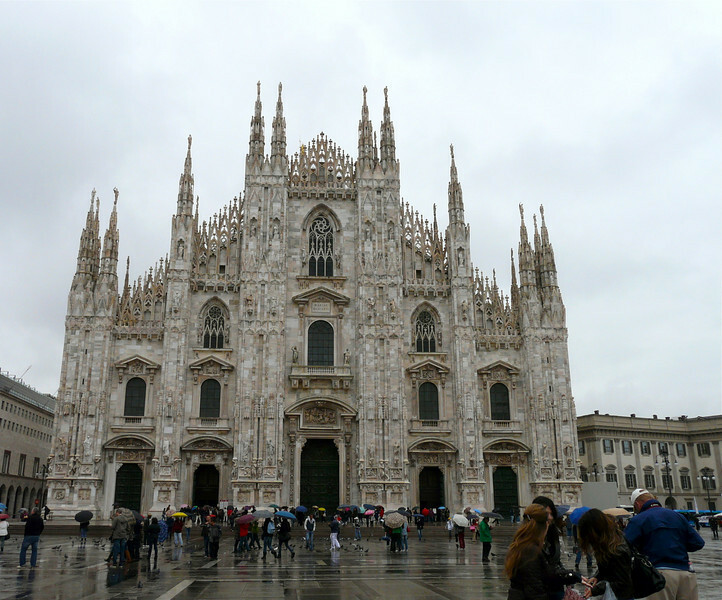 When we arrived in Malpensa, Italy (the airport for Milan), the hotel’s shuttle picked us up at the airport. 6. How will I travel from the airport to my lodging? Is public transportation easy and reliable? How much will a taxi cost? Is arranging private transportation beforehand a better option? Don’t forget, If you’re staying at an airport hotel, find out it if the hotel offers a free shuttle to and from the airport. In some instances, like in the Rome airport, we’ve been able to walk to our hotel from the airport. A rainy day at the Flam Railway station in Norway. 7. Should I rent a car? Most European cities have such reliable public transportation that a rental car isn’t necessary unless your travel feet are itching for a European road trip in the countryside. Learn about the public transportation before you go by visiting the visitor’s bureau on the Internet. Of course taxis are an option if the budget can handle it. 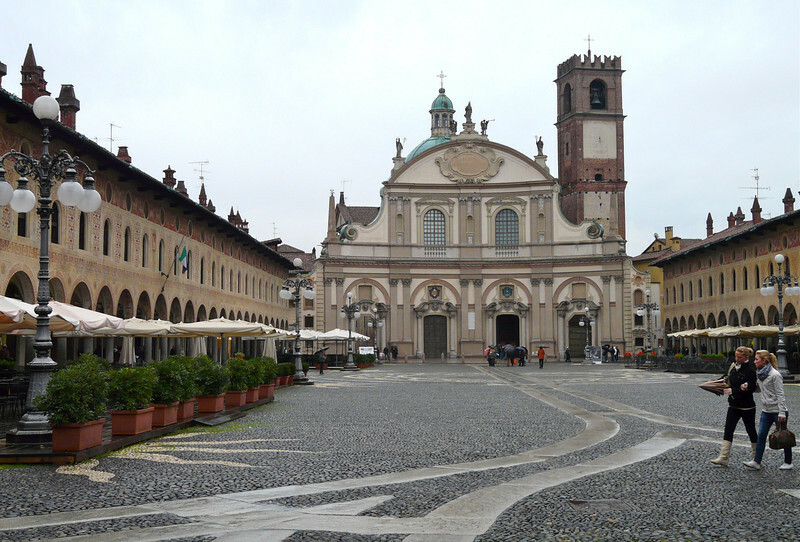 Another choice is to visit a city that’s known for being walkable—like Florence, Italy. Train travel is a convenient way to travel between cities in Europe. Start your research on the Eurail site after reading these tips from Rick Steves . Hint: a rail pass is not always the most economical, or smartest, choice. 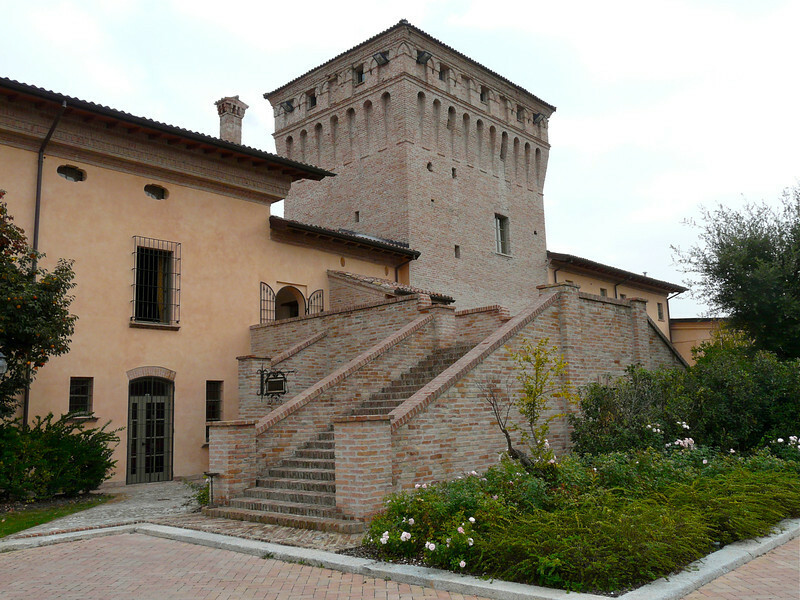 We stayed in a castle on our road trip in Northern Italy. 8. Where should I stay? Choosing accommodations is an extremely personal choice depending on preferences and budget. Some European travelers prefer the reliability of 5-star accommodations in well-known chains such as Ritz-Carlton or the Four Seasons. If you’re looking for a hotel in Europe, start your search with us. Alan and I prefer to stay in boutique hotels, luxury inns or high rated bed and breakfasts known for a personable staff. First, we conduct a search at Hotels Combined. But to finish our research, we’ll also look at Great Small Hotels or Mr. & Mrs. Smith for boutique hotels or Select Registry for bed and breakfasts. And we always check online reviews. Here’s a tip: ignore the best and worst reviews because the truth is usually somewhere in the middle. Another option is to book a stay in an apartment or vacation rental. Online sites like HomeAway offer extensive databases of rental choices. Be sure to read the descriptions and reviews carefully before making a choice. Participating in a home exchange is another option. 9. Should I book a group tour? 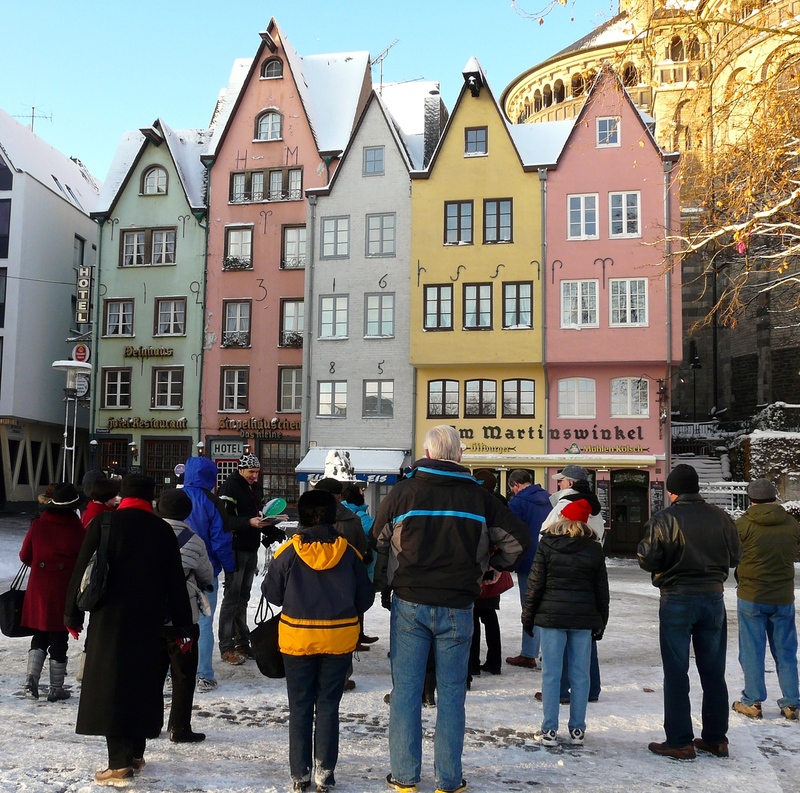 European group tours offer security and the company of travel companions—good choices for a first-time solo traveler. However we won’t book any that change accommodations each night. That’s just too hard on our baby boomer bodies. River cruises are another option that fills our need to unpack once but see more than one destination. Most of the time, tours are included in the fare or there’s always the option of exploring on your own. How do we find group tours? Start with an aggregator site like Tour Matters. After traveling on a European tour or two, you’ll know which companies are your favorite. 10. Are day tours worth booking? About that exploring on your own statement that I just made. While walking around in a city with time spent sitting at a sidewalk café is a good way to soak up local ambiance, it’s not the best way to learn in-depth information about a destination. Researching blogs and guidebooks in advance is helpful, but Alan and I recommend the perspective of a local guide like the ones we find at Get Your Guide. Click here to check them out. Viator is another convenient site for finding and reserving local tour guides before leaving home. Take a look. We always check both sites to find the best fit for our trip. 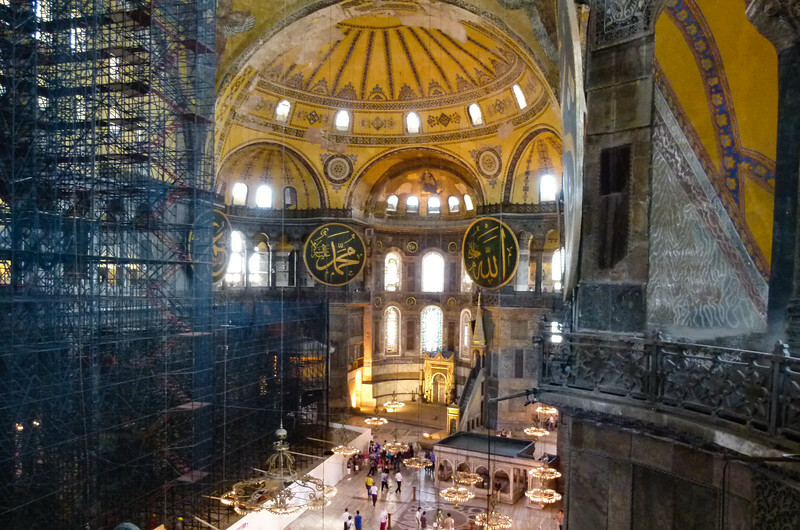 Dressing appropriately is important when visiting religious sites in Istanbul. 11. Are there cultural differences I should know about? Is it inappropriate to shake hands? Which hand gestures are considered obscene? Some may surprise you. Are long pants or skirts required to visit religious sites? Will a head cover be required to visit religious sites? If so, I recommend bringing a scarf or pashimina to use for that purpose. Knowing appropriate behaviors for the culture will go a long way in making the visit a pleasant one. And don’t forget to learn a few phrases of the local language: thank you, help, hello, goodbye, please and where’s the toilet are important phrases to know. Doing your homework before a trip to Europe reaps big benefits so start planning today!